The Intel RAID Controller RS2BL040, a member of Intels 6Gb/s SAS adapter family, is targeted at solutions with expander backplanes or low drive counts. 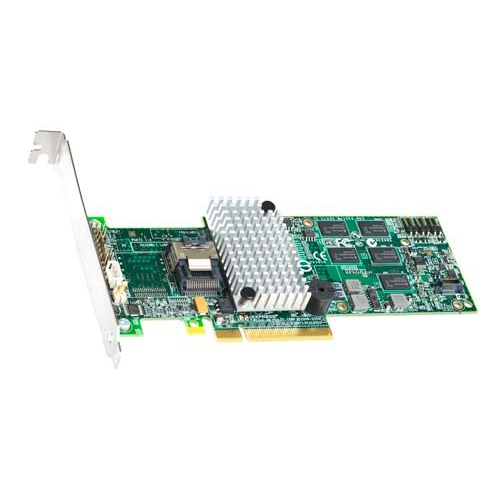 Features including LSIs SAS2108 6Gb/s RAID on Chip (ROC) silicon and a native PCI Express 2.0 architecture allow for significant performance gains for both 3Gb/s and 6Gb/s drive-based solutions versus prior generation RAID adapters. Data protection and availability are enhanced by new features including Decision Feedback Equalization for greater signal integrity, enhanced diagnostics, and more robust error reporting.